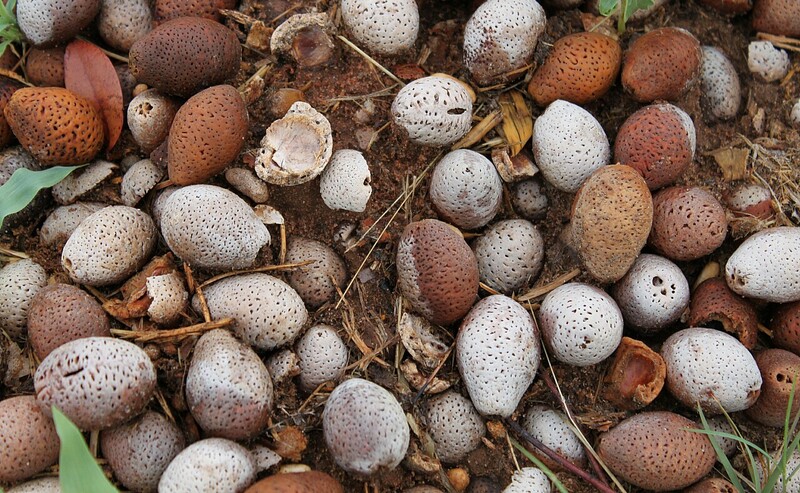 Indigenous people in this semi-arid region of southern Africa have been nourished by Mongongo nuts for over 7,000 years. Which is amazing when considering that on my many attempts I failed to crack open even one of their Fort Knox-like shells. This led me to imagining myself as one of those unfortunate people, like the very old or infirm, who back in harder times would have been abandoned to the hyenas and vultures because their diminished survival skills hindered rather than helped the clan. That was until I learned a little more about the traditions and shortcuts of foraging for, and shelling, Mongongo nuts. Mongongo nuts in decaying elephant poo. Last year, when taking the dogs for a walk through the woodland beyond our house, we came across a huge pile of nuts scattered atop decaying elephant poo. Chris went on to tell me how, for the native Zambians at least, this was the most efficient way to forage for the much-prized Mongongo nut. I responded with a tart rejoinder until it dawned on me that it was, in fact, a genius way of gathering. You see, an elephant craves the sweet fruit in the outer layer of the Mongongo but it can’t digest the hard nut inside, thus when the time comes, it goes on to dump one almighty load of stripped nuts. The most efficient of all Mongongo nut foragers. “A forester in Rhodesia [Zimbabwe] sent this author some Manketti [Mongongo] nuts and on the package under the scientific name Ricinodendron, he had written ‘recovered from elephant dung’. This startled me. … I wrote to the forester to ask why the special inscription, and he replied that there are three reasons: (1) The elephants eat the fruits greedily and it is much easier to let the elephants do the job of picking; (2) The seed will not germinate until it has spent a week inside the elephant, and (3) The elephant enjoys the fruit but his digestive mechanism does not affect the extremely hard shell and the nut inside. The natives of Rhodesia, therefore, follow the elephant, recover the hard-shelled nuts where they have been dropped, clean and dry them, then crack the extremely hard shell, and find the contents perfectly delicious.” — Edwin A. Menninger, ‘Edible Nuts of the World’. My Zambian assistant, Adelina Banda, suggested we talk to a woman she knew called Ruth Mongongo–yes, that’s her real name–for she and her sister were highly regarded as expert nut crackers. Ruth’s family has lived in a village on the Zambezi River, not far from our farm, for generations. Using a flat rock, worn down by years of cracking nuts with a heavy round stone, Ruth learnt the singular, hazardous skill from her mother … who learnt from her mother, who learnt from her mother, ad continuum. Ruth Mongongo cracking open the nuts in her village. I was on to a winner! The Mongongo nut before it’s skin has been removed. We’re great fans of biscotti in this house, therefore it felt natural to turn to our tried-and-tested recipe, which normally calls for a mix of almonds and hazelnuts, replacing one of those ingredients with Mongongo nuts instead. We were delighted with the end result, so much so that we have never returned to the original recipe. Notes: It won’t be easy to find Mongongo nuts outside southern Africa, but I found that any combination of a soft and flavorful nut interspersed with a hard one, like hazelnuts or almonds, works well in this recipe. Yield: Renders approx. 60 biscotti, if cut thinly. Heat the oven to 180/350 degrees, and line a baking tray with greased parchment paper. Sift the flour into a mixing bowl, adding the linseed, sunflower seeds, baking soda, and salt. Mix together well. In a separate large bowl, beat the egg whites with the whole egg until light and fluffy. Then beat in the sugar and vanilla essence. Spoon out the mixture and shape into two flat, oval loaves on the baking tray, dipping your fingers into a cup of water if you find it too sticky to handle. Bake on a rack in the middle of the oven for 30 minutes. Remove from the oven, cool for 10 minutes, and then slice according to the width you desire (we like it thin). Rearrange sliced biscotti on the baking tray, return to the oven, and cook for a further five minutes, or until hard. Remove and cool completely. Preserve in an airtight container to ensure crispness. 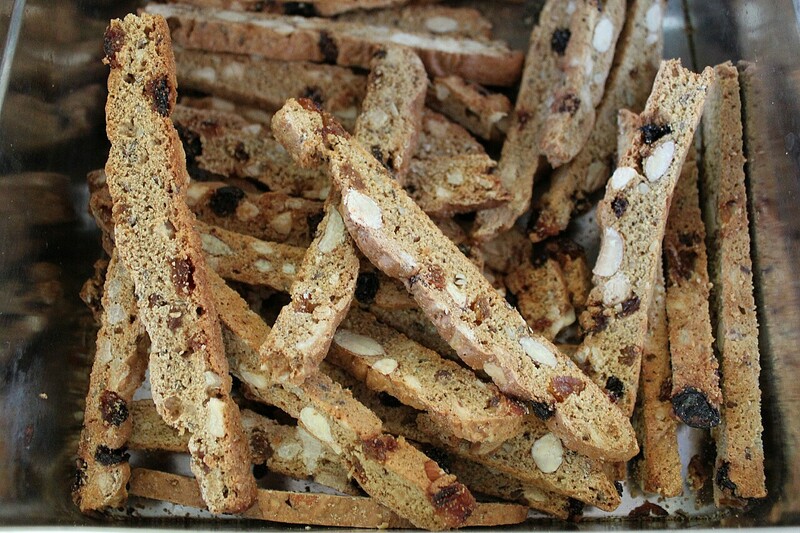 Mongongo Nut & Almond Biscotti. Fascinating! And the biscotti looks divine! Most intetesting. Thank you for sharing. I can understand your initial hesitation towards the pre-foraged nuts, but it all makes perfect sense. The circle of life, Jim. Thank you for your interest! And we’re looking forward to feeding you some, Simon! Thanks! Love your beautiful photos too. Thank you so much, Cherie! So when will you become the mongongo nut exporter of Zambia? I can’t wait to be able to buy them in the supermarket. The most expensive coffee beans in the world pass through the guts of civets and command a premium price. Could be the same with elephant-passed mongongo. 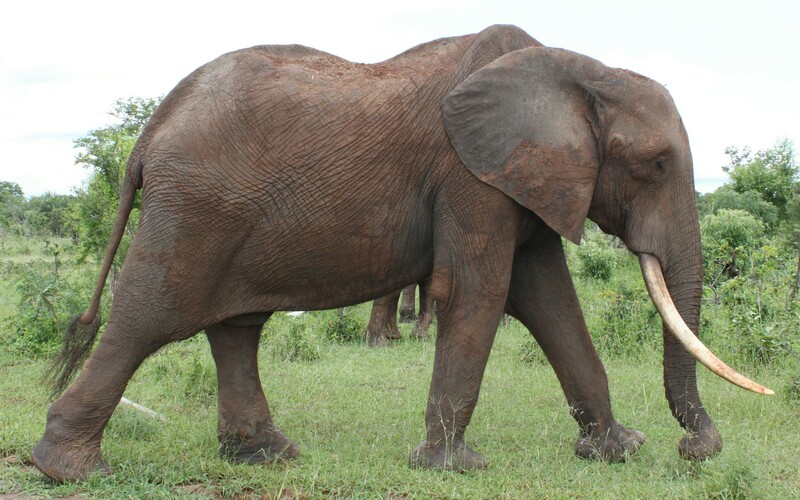 I’d much rather poke around in herbivorous elephant poo than carnivore poo. I see that your story was written in July. Do these nuts have a short season? I would love to get some for my garden. Hii, Thank you so much for your very interresting article ! I would like try to plant a Mongongo tree in méditerranéen bassin. Could you send me some nuts ? I experienting a forest garden on 60 hectare of forest with differente type of fruits threes. Thank you for your interest in Mongongo nuts. I am sorry, but I am unable to send you seeds from here. Good luck in sourcing them!